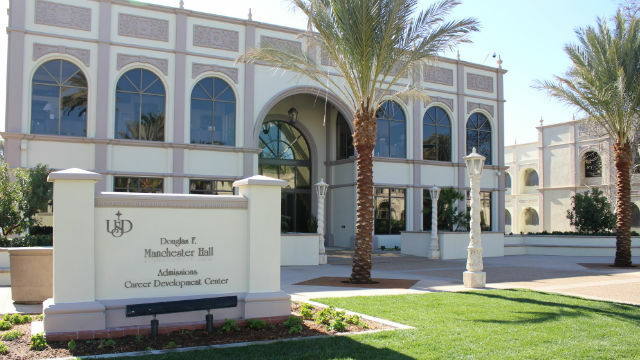 Douglas F. Manchester Hall at the University of San Diego. Recently, San Diego and our nation lost two of our most distinguished, generous and gentle souls, Conrad Prebys and Pauline Foster. Conrad and Pauline’s wealth were far greater than dollars and cents. Their gift to all of us in San Diego was their generosity and kind spirit. They donated hundreds of millions of dollars to causes that touched their hearts, and they did so with humility and grace. Conrad and Pauline are excellent role models for the next generation of philanthropists in our community and nation. They were both tremendous supporters of health, culture, youth and education, some of my true passions. Conrad endowed San Diego State University with a $20 million gift to create several endowed scholarships that would support at least 150 students annually. It was the single largest gift ever made to SDSU. Pauline was a passionate supporter of the University of California San Diego. Her $7.5 million gift in 2014 established the Pauline and Stanley Foster Pavilion for Cancer Care at Jacobs Medical Center at UC San Diego Health. Pauline also donated $5 million to establish the Stanley and Pauline Foster Endowed Chair, in honor of her late husband, at the UC San Diego Rady School of Management. She provided fellowship support for graduate students with a lead gift to the “Invent the Future” campaign, and established the Foster MBA Fellowship Fund with a $2.5 million gift. San Diego has had the wonderful fortune of having many extraordinary individuals who have supported a wide variety of causes, from health care and science to the arts and education. My dear friends T. Denny Sanford, Malin Burnham, Ernie Hahn, Ernest Rady and Jenny Craig have had a magnificent impact on giving in our community. In the absence of large corporate headquarters in our region, these individuals, and others too numerous to mention, are known throughout our region for their generosity. I had the opportunity of introducing Denny Sanford to San Diego, and he provided an inaugural gift for the creation of the Sanford Education Center at National University that houses the Cause Leadership Institute for nonprofit leaders and Sanford Education Programs, Sanford Harmony and Sanford Inspire. The center’s mission is to effect positive change through the development of nonprofit leaders and teachers through the offering of inspirational and impactful programs that meet 21st century global needs. This generous gift is the first of its kind for National University. Denny has also endowed the Sanford Burnham Prebys Medical Discovery Institute and the Sanford Consortium for Regenerative Medicine. Malin Burnham’s contributions are also impactful. He co-founded the Burnham-Moores Center for Real Estate at the University of San Diego, helped bring the USS Midway to San Diego, seeded the Burnham Institute, endowed UC San Diego and SDSU, and has given his time, talent and treasure to better San Diego. Malin’s motto is “community before self” and he has inspired others, including myself, to live the same. Ernie Hahn was one of my early compatriots in shaping San Diego’s contemporary skyline. Ernie, known for developing Horton Plaza and Fashion Valley, also had a key interest in supporting education, and for many years sat on the USD board, where I also served for more than 30 years. Although Ernie never attended college, we shared the same beliefs in the importance of higher education as one of our most powerful tools in shaping the world. The original Ernest and Jean Hahn University Center opened in 1986 and continues today as home to the student cafeteria, faculty and staff lounge, meeting and event space and the Office of Student Affairs. I have also had the privilege of working with Jenny and Sid Craig. In 1992, Jenny and Sid committed $10 million to the University of San Diego, $7 million of which was used to build the Jenny Craig Pavilion, a recreation and sports pavilion that was dedicated in October 2000. As for Ernest Rady, his philanthropic contributions to this community and kind heart have been transformative. In 2004, Ernest donated $30 million to UC San Diego to start the Rady School of Management. After 10 years in existence, the school was ranked by the Financial Times as 17th best in the world for its faculty research and eighth for entrepreneurship. Its students have launched 70 startup companies that are still operating businesses. In 2014, his remarkable gift of $120 million to Rady Children’s Hospital was one of the most generous acts of philanthropy ever in San Diego and raised his total contributions to the hospital to an astounding $180 million. A common thread among these philanthropists is the value of education because it has the ability to shape and influence generations ahead to keep our country globally competitive. My own commitments include gifts to USD, SDSU, Cathedral Catholic, Wake Forest and The Bishop’s School. I am most proud of the intellectual, moral and spiritual mission of USD, which led me to serve as a university trustee and chair of the facilities committee that helped formulate and execute the USD master plan over a 30-year period. During this time I oversaw development of 25 of the university’s buildings and personally helped fund three: the Manchester Executive Center, the Manchester Campus Athletic Field and Dorms and the Manchester Child Development Center. As I reflect on the past, and think about our future, I commend the leaders who have contributed greatly to our region, and I hope that their graciousness will influence a new generation of philanthropists to emerge and move San Diego forward. The future is dependent on leaders such as these. 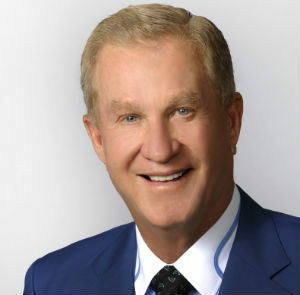 Douglas “Papa Doug” Manchester is chairman of San Diego-based Manchester Financial Group, which is developing office and hotel properties in San Diego and Austin.